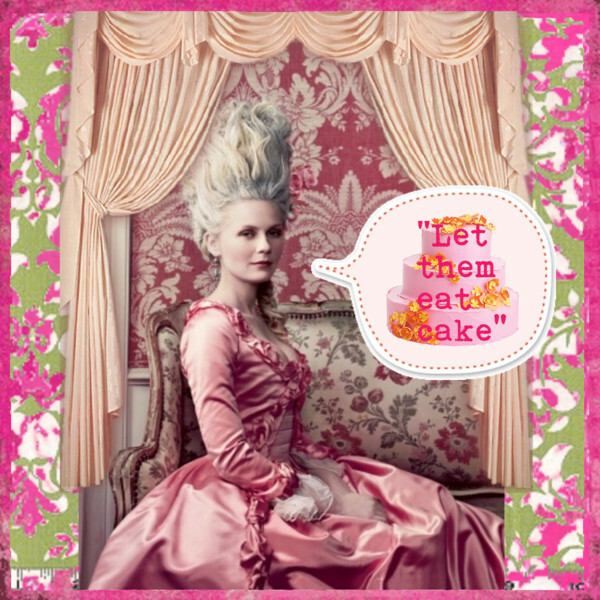 I bet Marie Antoinette wouldn’t have said this if she’d seen a few of my cakes. I’ll be honest, while I dispense a lot of cooking and baking wisdom, when it comes to cake-making, I still don’t have it figured out. I made a two-layered chocolate cake for my hubby the other day and dang it, the center on both layers fell. This frustrates me so much. I’ve been baking for over 50 years. You’d think by now I’d have cake-making mastered. So to the Internet I went, researching what in the heck is going on with my technique (or lack thereof). I don’t know if you struggle with cake-making as well, but in the off chance you might, here’s what I discovered. Turns out, I have been making one of these mistakes all along. Malady: Heavy Cake. Cakes can be very delicate. The professional bakers I read all agreed that the less you mix, the fluffier your cake texture will be. 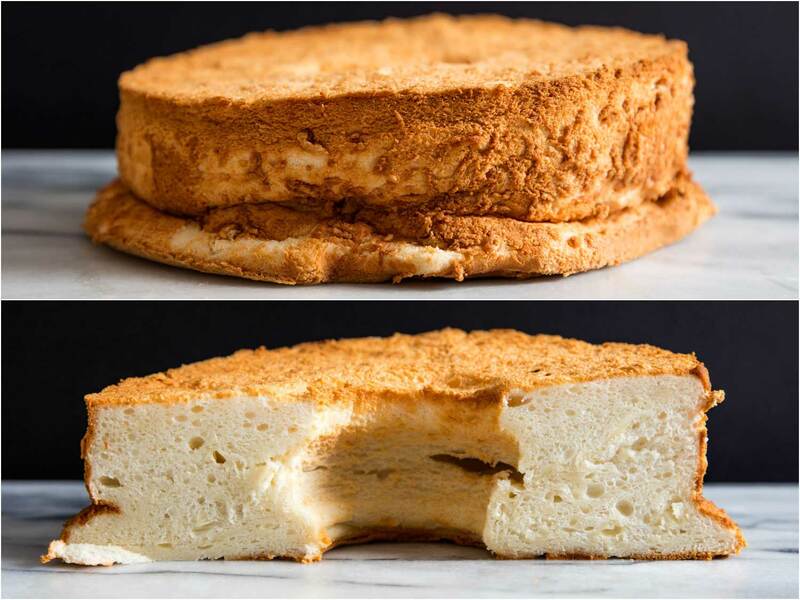 The advice is to mix the ingredients together only until just combined and your cake will rise to a light, airy texture in the oven. All is not lost though, if your cake ends up a little leaden. Just slice it into pieces and soak each in simple syrup, whipped cream or flavored yogurt to moisten. Malady: Deflated Cake. Seems like one problem goes with another. You got a heavy cake, it’s often you got a deflated cake. 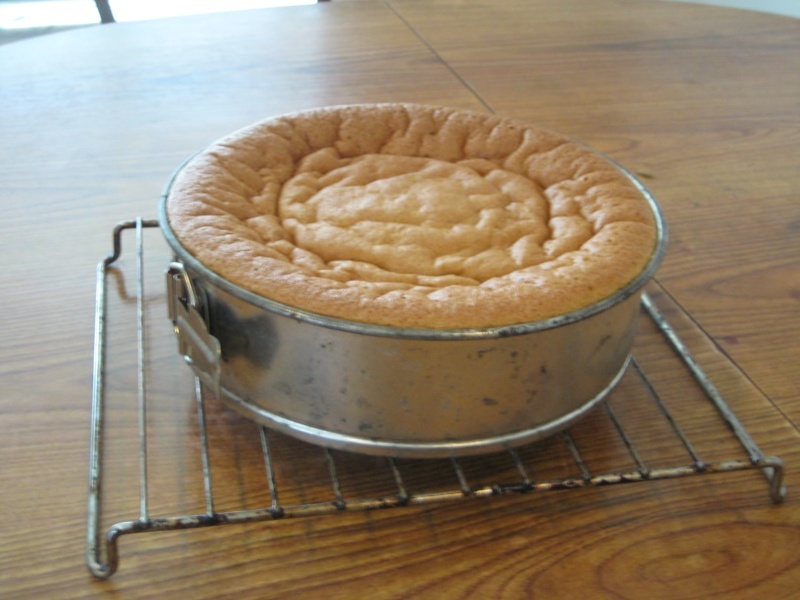 One cause of cake deflation (aka falling) is opening the oven door before the end of the baking time. Doing this lowers the oven temperature, causing your cake to sink. Honestly, I knew this already. And I absolutely do not open the oven door until the beeper beeps. So I know this isn’t my problem. And we all know to insert a toothpick into the center of the cake to check for doneness towards or at the end of the bake cycle. 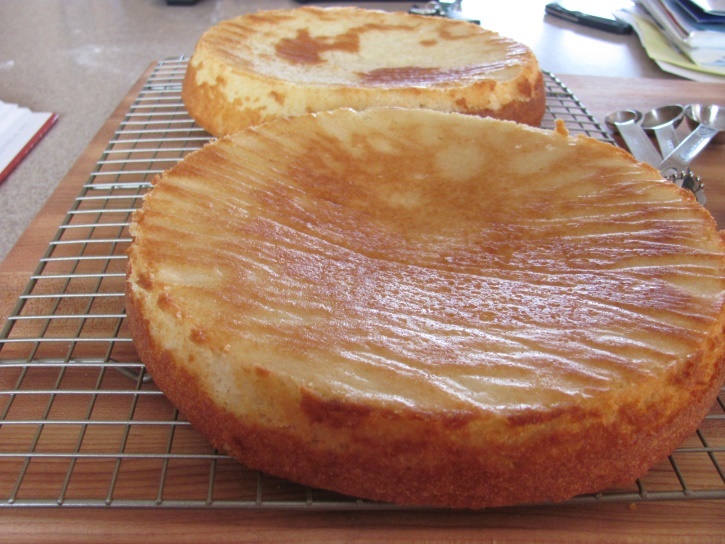 Cool cake layers in pans on wire cooling racks for 10 minutes. Run a dinner knife around the side of each pan to loosen the cake. 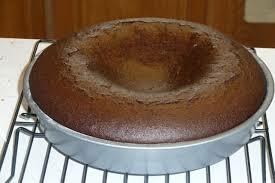 Cover a rack with a towel, then place it, towel side down, on top of cake layer; turn upside down as a unit. Didn’t know that was the proper method, but I always do those things. My cakes don’t sink after I pull them from the oven. They sink in the oven. Oh, and here’s a good one: The professionals I’ve been quoting above? They conclude with this dopey bit of comfort: “Luckily, a sunken cake will still earn you a round of applause from your guests.” Seriously? Well, I don’t know who their guests are, but mine wouldn’t applaud a sunken cake. You know why? Because I fill in the sunken places with lots of extra icing. Don’t we all? That way no one even knows the cake sunk…this works really well if you have frosting-lovers in the house, and I do. Put the first three ingredients in a medium saucepan. Bring to a boil, stirring constantly. Remove from heat and add chocolate chips, vanilla, and salt. 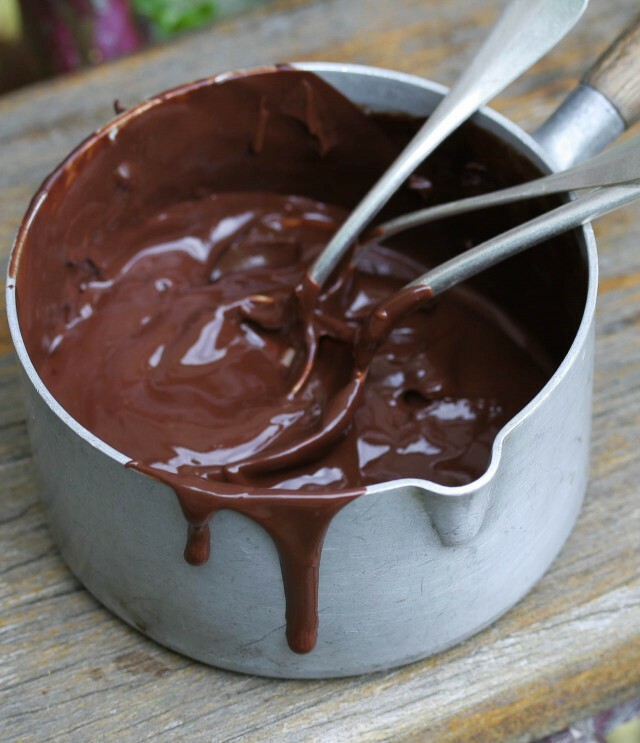 With a wire whisk, beat until creamy and slightly cooled (approximately 10 minutes).